Finishing a basement not only adds value and usable square footage, but it’s also a way to further personalize your home. From walk-out basements with outdoor living to secluded home office space, you have the freedom to make highly custom choices for your own personal getaway. At Optimum Construction, we know how to handle the unique considerations that go into basement remodeling. The finished space will be fully residential-quality, built to code, safe from moisture, and most importantly, a great investment in your home. Our Montgomery County-based contractors practice a client-first approach to basement remodeling. We serve Potomac, Bethesda, Rockville, as well as the entire Washington, DC area. Call us today at (240) 422-9990 or contact us online to set up a consultation for basement remodeling in Montgomery County, MD or DC. Isn’t it time your Potomac basement reaches its full potential? 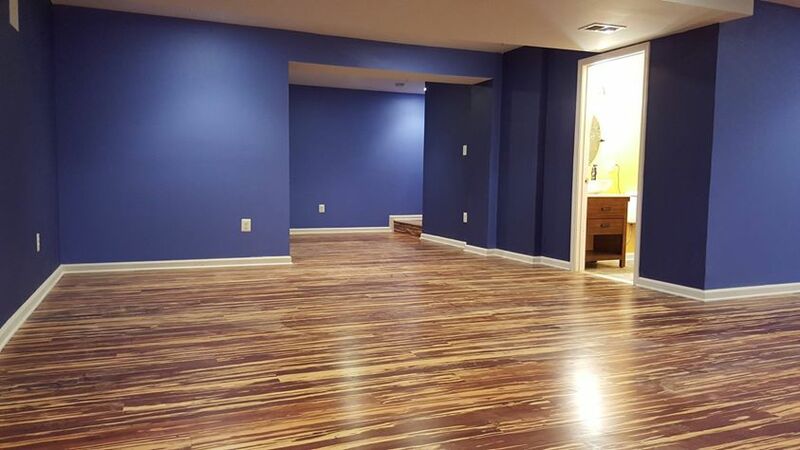 Contact our professional basement remodelers at Optimum Construction today! Remodeling or building below grade brings special challenges. Whether you live in Maryland or DC there are local and state regulations and permitting processes to follow regarding issues like egress, electrical safety, plumbing, and more. Optimum Construction can help you obtain those permits and plan for a basement remodel that looks and feels as comfortable as the rest of your home. As your basement remodeling contractors, we can also find solutions for obstacles like low ceiling heights or small windows. Our home contractors are full remodeling and construction professionals who can handle excavation, drainage systems, vapor barriers, and custom finishes. Looking for a contractor who listens and knows how to handle every component of the basement remodeling process? Call Optimum Construction! At Optimum Construction, we take a consultative approach to make sure we’re aligned with your vision. Our designers and architects draw up plans that are carefully detailed to match your budget and style, and our skilled tradespeople and project managers bring it to fruition. Maryland basement remodeling is a multi-disciplined effort that Optimum Construction is prepared to undertake successfully. Well-planned basement remodeling can bring one of the highest returns on investment for a home improvement project, and it’s an addition that your family will love. Together, we can make it happen. Request a consultation or call (240) 422-9990 to speak with our professional home contractors in Montgomery County! Call today to speak to Optimum Construction about basement remodeling in Maryland and the wider Washington, DC area.